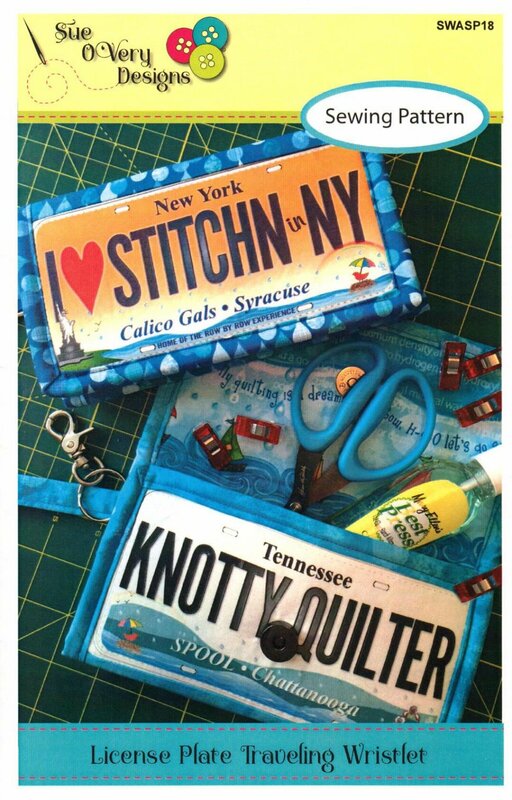 License Plate Traveling Wristlet, by Sue OVery Designs. Final dimensions: Closed 8" wide X 4 1/2" tall. Open 8" wide x 9" tall. Collect Fabric Plates from Quilt shops and construct this useful wristlet to store your quilting notions. Makes a wonderful memory of your quilting travels and is sure to delight anyone on your gift list.